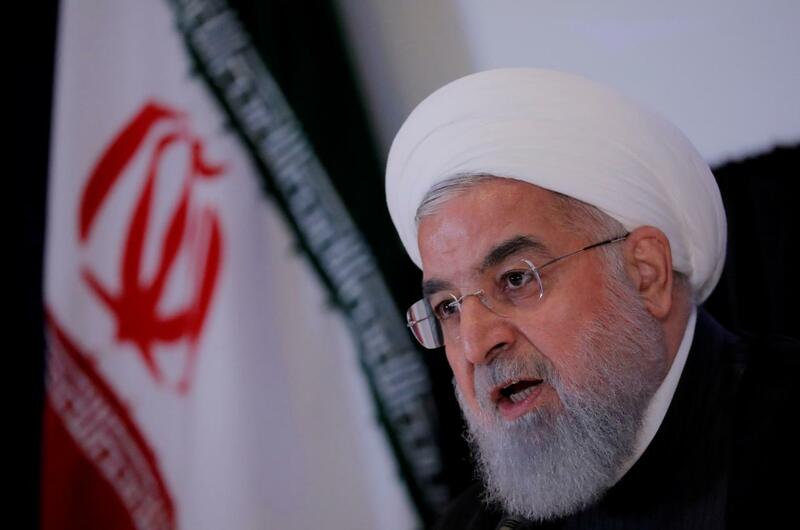 Iran’s president on Monday blasted a US “conspiracy” against the country as vast crowds marked 40 years since the Iranian revolution at a time of heightened tensions with Washington. “The presence of people today on the streets all over Islamic Iran… means that the enemy will never reach its evil objectives,” President Hassan Rouhani told those thronging Tehran’s Azadi (Freedom) square. Chador-clad women, militia members in camouflage fatigues and ordinary citizens marched through the capital in freezing rain to mark the day in February 1979 that Ayatollah Ruhollah Khomeini ended millennia of royal rule. Life-size replicas of Iranian-made cruise and ballistic missiles lined the route in a statement of defiance after Washington last year reimposed sanctions after pulling out of a deal on Tehran’s nuclear program. A pre-prepared resolution was read out that proclaimed “unquestioning obedience to the supreme leader Ayatollah Ali Khamenei” and called US President Donald Trump an “idiot”. The event Monday was the culmination of official celebrations called the “10 Day Dawn” that mark the period between February 1, 1979 and February 11 when Shiite cleric Khomeini retuned from exile and ousted the shah’s last government. But despite the official festivities, today’s Islamic republic faces acute economic challenges as it struggles with a mix of domestic hardships and US sanctions. Banners held by marchers or hung along the streets bore slogans including “Death to America”, “Death to Israel”, “we will trample on America”, “forty yeas of challenge, forty years of US defeats”. “We are here to support the revolution,” the 57-year-old pensioner, who refused to give his first name, told AFP at the event in Tehran. He compared the US sanctions and economic hardships to “riding a bicycle when someone puts a stick in the wheels” but pointed to advances in other fields as more than making up for them.